Do you have trouble finding your cat when you want her to come inside? Does your cat wander off and ignore your calls? 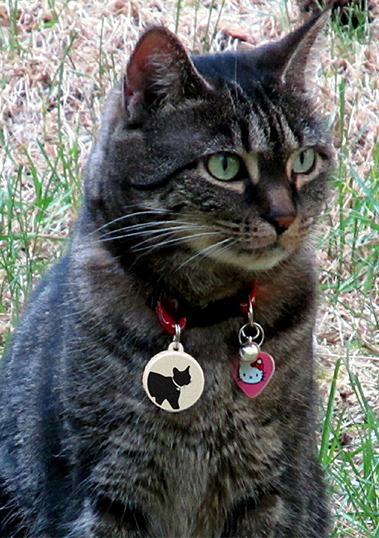 Cat Tailer broadcasts a very low energy wireless homing beacon that is picked up by your smartphone. Based on the strength of the signal, the Cat Tailer smartphone application determines approximately how far you are from your pet. Cat Tailer is not GPS. It does not provide information about the precise location of your pet. Rather, Cat Tailer is an effective method for finding your pet within your yard or neighborhood. Working without GPS allows Cat Tailer to be small, have very long battery life and not hinder your pet’s natural movements. Cat Tailer broadcasts its homing beacon roughly once a second. The companion smartphone application receives this signal and will locate your Cat Tailer if it is within range. The smartphone display reports the distance to your pet. Since the signal is only received a maximum of once a second, you may have to wait several seconds for the application to display the distance to your pet. 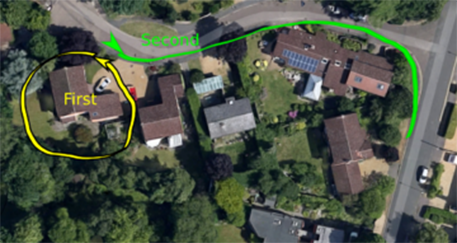 Similarly, as you walk the distance measurement will update every second or so. Generally, start by walking toward your pet’s favorite haunts. The application will report that you are closer to your pet. For instance, if you turn around and suddenly the distance is shorter, then that is the direction to go. Keep in mind that buildings, hills and even people in the line of sight to the Cat Tailer change the accuracy of the distance measurement. Once the application locates your pet use the distance information to guide you to your pet. 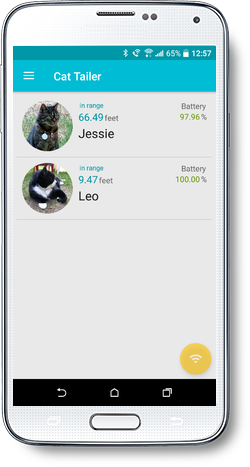 The Cat Tailer application can be configured to automatically notify you if your pet has returned and is in range. -Then proceed to look around your community.